This is YOUR wedding. It has to reflect yours and your partner’s personality. It has to reflect your tastes while being mindful of the likes and dislikes of the people who are most important to you in the whole world – your family and friends who are attending. While they should not be involved in the planning, the end results need to look like it was created with them in mind, as well….and this can easily be accomplished. Here are some ways couples can focus on their family and guests. Your attendants are your closest friends or your closest family members. They are not there to “serve” you – merely to cherish with you, the happiest moments of your life. These people are traveling with you, to a distant land to share the most important day of your life. Yes, it is all about you – and they are here to share all of those special moments with you. Treat them as honored guests. Prior to their departure, make sure to give your guests information about the area where the wedding will be taking place. Arrange some activities for them, but allow them some free time to explore the area on their own. Carefully make your food selections based on the traditional, local foods. You certainly don’t want your guests traveling halfway around the world to give them hamburgers…but you also do not want to select items that are “too foreign” to their tastes. As an example, some people will love that octopus is available for them to try, but it should certainly not be offered as the only entrée option. Be sure to have selections for non-fish eaters, as well as those on vegetarian diets. The coast has a very wide range of typical foods that will please every taste. During your wedding reception, music is a very important element – and hiring the perfect musicians, suited to your tastes will make all the difference. Our suggestion is always to offer background music during dinner – so guests can enjoy conversations at the tables – and slowly increase the volume and tempo as the evening progresses and the dancing becomes more lively. The most important element to a memorable wedding – is simply that… you have to remember it – and not spend your day thinking about all the details. On your wedding day try to relax and not think about every minor detail. Prior to the wedding, hire the best team of vendors you can find and make all the decisions that need to be made. Then on your special day, relax, knowing you have hired the best group of professionals around – and let them do what you hired them to do. It will make your day completely memorable. Timing is everything. Work with the vendors you have selected to make sure there is no “down” time between your wedding ceremony and your reception. If there needs to be a break, for some reason, arrange an activity for your guests – a glass of prosecco in a garden, a small bite on a sunny terrace – something – anything. No one wants to go to a ceremony then have to return hours later for the reception. Remember that this is one of the biggest parties you and your family will ever give. Having a wedding on the Amalfi coast is an unique experience, make it a stress-free, memorable experience. 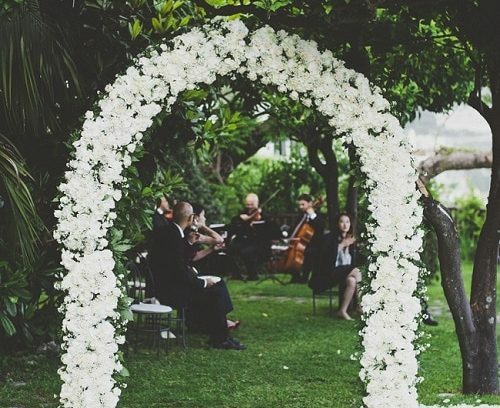 Your dream wedding awaits you… here, on the Amalfi Coast!